This original text discusses prejudice in detail, offering a clear analysis of research and theory on prejudice and prejudice reduction, drawn from findings in social psychology, critical thinking and education. Presenting the underlying principle that prejudice can be reduced through the development of four core attributes – empathy, understanding, cognitive flexibility and metacognitive thought – the book offers effective educational strategies for preparing young people for life. Chapters explore a range of examples of classroom practice and provide a thorough engagement with the minefield of prejudice, set against challenging sociological, ideological, political and cultural questions. An integrative framework is included that can be adapted and adopted in schools, synthesising findings and emphasising the need for individuals and groups to work against preconceived beliefs and emotional reactions to situations, offering contra-intuitive, rational and affective responses. 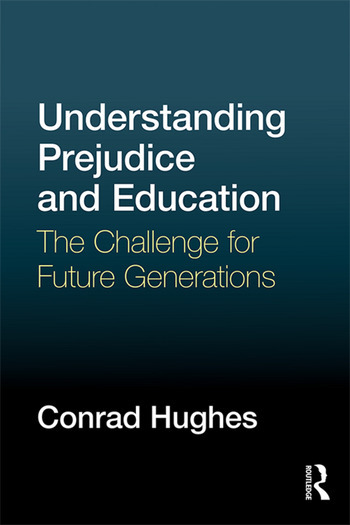 Understanding Prejudice and Education is essential reading for all those engaged in relevant undergraduate, Master’s level and postgraduate courses in education, social psychology and cultural studies, as well as teachers and school leaders interested in developing strategies to reduce prejudice in their schools. Conrad Hughes is Director of La Grande Boissière, the International School of Geneva, Switzerland. He has published and worked with UNESCO, the United World Colleges and the International Baccalaureate.